Fragola Fitting, Gauge Adapter to -4. 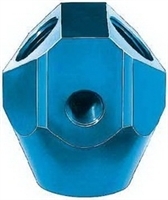 AN to NPT pipe adapters from Aeroquip are made from high-quality anodized aluminum. Carter AFB two and four barrel Carburetor Adapter; -06 AN Hose Fitting Size. 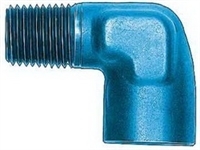 Carter AFB two and four barrel Carburetor Adapter; -06 AN Hose Fitting Size; With 5/8-20 Thread. 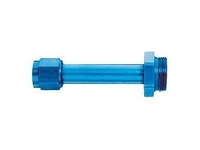 Carburetor Adapter; -06 AN Hose Fitting Size. Aluminum Crush Washers for use with Banjo Fittings and Carburetor Adapters. Fuel Pump Adapter; -06 AN Hose Fitting Size; Inverted Flare; 1/2-20 Thread. 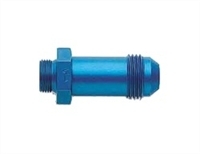 Fuel Pump Adapter; -06 AN Hose Fitting Size; Inverted Flare; 5/8-18 Thread. 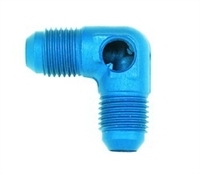 Carburetor Adapter; -08 AN Hose Fitting Size. Pipe Elbo, 1/8" male to 1/8" female 90 degree. Aeroquip Fitting, Pipe Elbo, 1/8" male to 1/8" female 90 degree. Aeroquip Fitting, Pipe Elbo, 1/4" male to 1/4" female 90 degree. Pipe Elbo, 1/4" male to 1/4" female 90 degree. 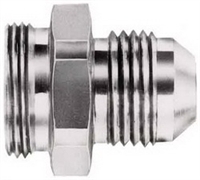 Add a fuel pressure gauge to your stainless plumbing with 1/8" NPT. 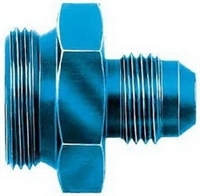 Fragola Fitting, Pipe Elbo, 1/8" male to 1/8" female 45 degree. Carburetor Adapter; -08 AN Hose Fitting. 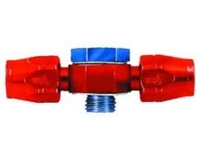 Aeroquip Fitting, Pipe Elbo, 3/8" male to 3/8" female 90 degree. Pipe Elbo, 3/8" male to 3/8" female 90 degree. Fuel Block. Great to feed off to each side of the carburetor. Banjo Fitting for the Holley Single Feed 600 - 660 Series. Banjo Fitting for Multiple Holley Single Feed 600 - 660 Series.